Following a long and successful run on American soap operas The Edge of Night, Santa Barbara, Guiding Light, and One Life To Live, Mark Arnold became best known to film audiences as the werewolf-hating antagonist Mick McAllister in the Michael J. Fox classic Teen Wolf. 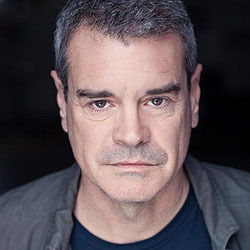 In the years since coming to London, Mark has appeared in films such as Florence Foster Jenkins, Mile End, Kingsman: The Golden Circle, and Blade Runner 2019.